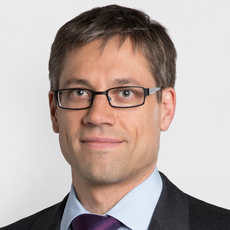 Olivier Favre is a partner in Schellenberg Wittmer’s banking and finance group in Zurich. Olivier focuses on derivatives, structured finance and capital markets transactions, and advises clients on financial services, securities, commodities, fund and insurance regulation. He also advises clients on FinTech solutions and their legal implementation. He acts for a broad range of clients, including financial institutions, buy-side firms, issuers, insurance companies and industry associations. Olivier is an authorised representative at the SIX Swiss Exchange. Olivier obtained a doctorate degree in law from the University of Zurich in 2003 (iur, 2003) and a master’s degree in law from Harvard Law School (LLM, 2004). For his doctorate thesis, he received the Issekutz Award for outstanding achievements in business law from the University of Zurich. Prior to joining Schellenberg Wittmer in 2009, Olivier practised as a lawyer in London, specialising in OTC derivatives and structured finance transactions, fund products and capital markets transactions. From 2004 to 2007, he was an associate in Allen & Overy LLP’s London-based derivatives practice group. From 2007 to 2009, Olivier was legal counsel in the derivatives and structured finance group at Goldman Sachs International in London.